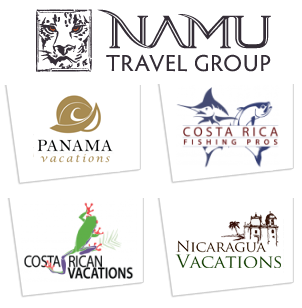 Namu Travel Group is a specialist Central American travel company with head offices based in San José, Costa Rica. There are several brands within the group including Costa Rican Vacations, Costa Rica Fishing Pros, Panama Vacations and Nicaragua Vacations. Being a specialist travel company, their staff personally vet every experience and hotel to be able to provide clients a personalised travel experience. Namu Travel Group currently have over 80 staff based in 3 countries. Costa Rican Vacations is the largest travel agency based in Costa Rica and one of the leading tourism companies in Central America. Panama Vacations is a leading travel agency specializing in the historic and beautiful country of Panama. Offering completely customized vacation packages and a forerunner in establishing quality of service in Panama. Nicaragua Vacations specializes in the up and coming Central American country of Nicaragua, one of the hottest new vacation destinations of the moment. 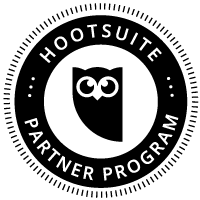 Namu Travel Group came to us to support them during the migration from multiple tangled legacy WordPress installations into a streamlined setup that would support their growth plans long term. With the travel industry being highly competitive, it was essential to keep all websites being worked on live at all times during the migration which was achieved. The challenge was to review redirects, optimise and migrate for over 3500 pages between six jointed and conflicting sources. We successfully completed this resulting in a setup that was extremely efficient and easy to manage in the future by internal staff. Our strategy to avoid any downtime on the websites was to review, migrate and optimise in logical steps that were tested on a development server prior to pushing live. Being able to migrate the redirects in clear stages allowed us to identify and remove conflicts from the legacy system and move into a much more efficient setup. Working closely with the internal development team at Namu Travel Group we were able to test the staged improvements on our development servers and then on their live servers once the changes were made. This was helped through the use of the internal tools we have to check the behaviour of URL redirects on bulk after every change. Using our knowledge and expertise of URL redirects, .htaccess files, regular expressions and WordPress development we were able to work through the large migration efficiently across time zones. The improvements that were implemented meant that the redirects worked much more efficiently than before, meaning the load on the web server was much less, the website loaded faster and users were much happier. After testing over 100,000 URL redirects throughout the process, we successfully supported the migration of the tangled legacy system with multiple WordPress instances. Namu Travel Group are now working with an efficient setup with zero conflicts that is easy to manage internally. Working across time zones can cause a lot of problems but we found emails answered promptly and Michael was available when we needed him. Also our developers are not native English speakers and we have some very odd configurations that can be hard to communicate, however I felt we worked through these issues well. Contrado Digital were very helpful and very responsive throughout the project. We are very pleased with the final results of the redirect work that Contrado Digital did for us. In particular the streamlining of our technical configurations was a big help. We feel that Contrado have helped us to not just get a result but also have helped us to learn and develop our internal knowledge of redirects, how they work, what effect they have and how best to handle them. Everything is working well, Google Webmaster Tools errors have reduced to almost zero and our sites are ranking higher in Google than before we did the work. The service we received from Contrado Digital was excellent and we would be very willing to recommend them to others.